OLD PARKED CARS. 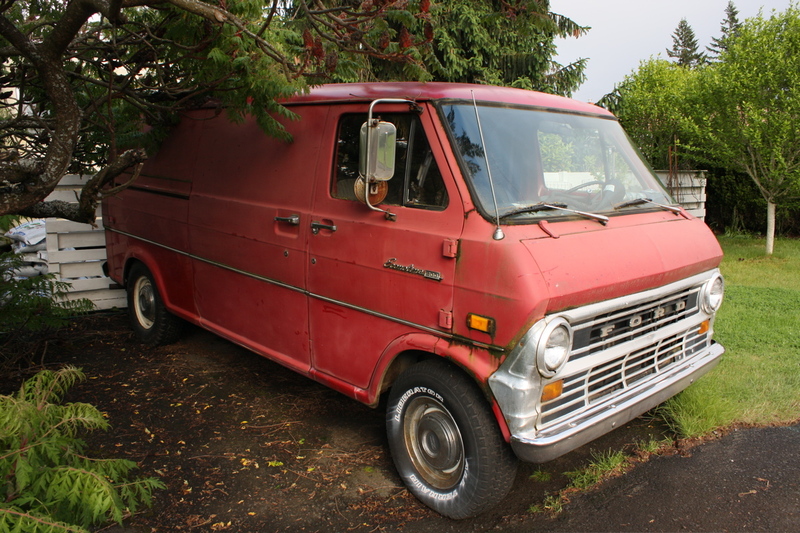 : 1969 Ford Econoline 200. Looks real mean with those lettered tires and dogdishes. Love these. These were the first full-size vans introduced in the US, beating Chevy and Dodge into the large-van market by a couple of years. 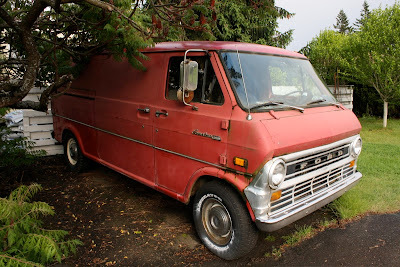 Of course, no one called their predecessor compact vans "compact" at the time, because when they were all introduced, that's just the size they were. 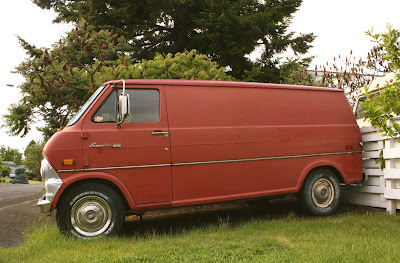 There really were no vans in the US before the 1960s models, so the 1969 Econoline was the second-generation of the whole US van concept. And the platform that replaced this one in 1974 is still underpinning the 2014 Ford E-series! That's the '71 and later grille on this one, by the way.